The following four items are for sale as a result of clearing my late father's house. I suspect my father aquired them when he was in his teens or early twenties, he died in his mid-eighties. 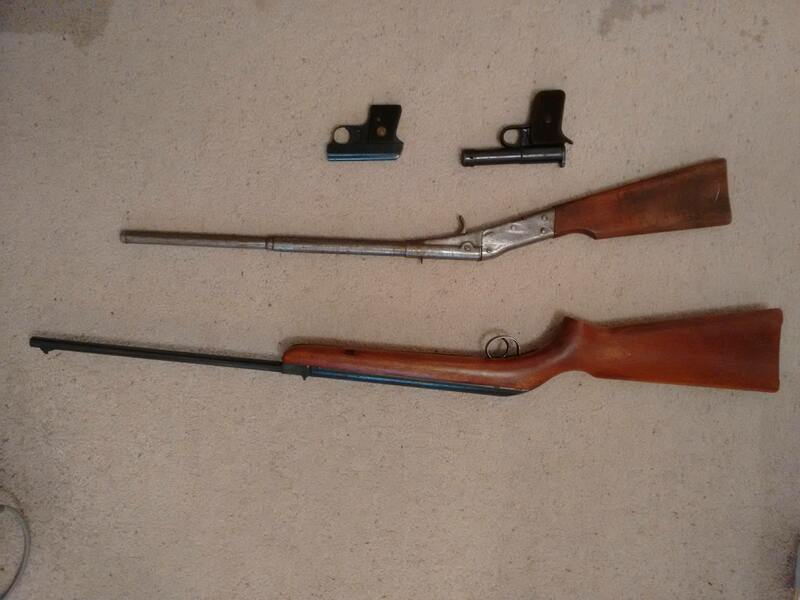 The guns are a job-lot and are strictly 'cash on collection' from north Cardiff and I'm looking for £210 for the lot. Any buyer must be able to prove they are over 18 years of age. 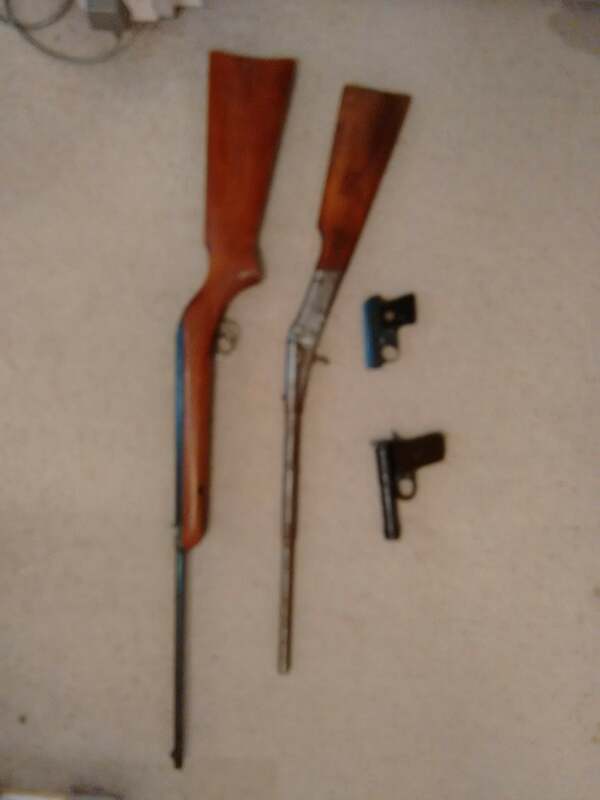 The first gun is a BSA CADET RIFLE in .177 calibre. Average condition. Barrel looks clean on shining a light through it. Last time I fired it was over forty years ago, at which point I think it was fairly accurate across a suburban garden! 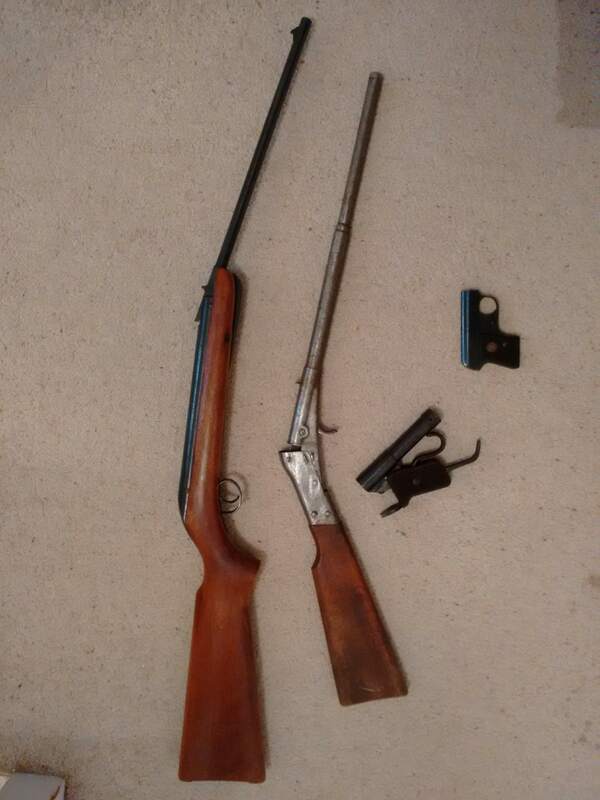 Second gun is a HAENEL bb gun. 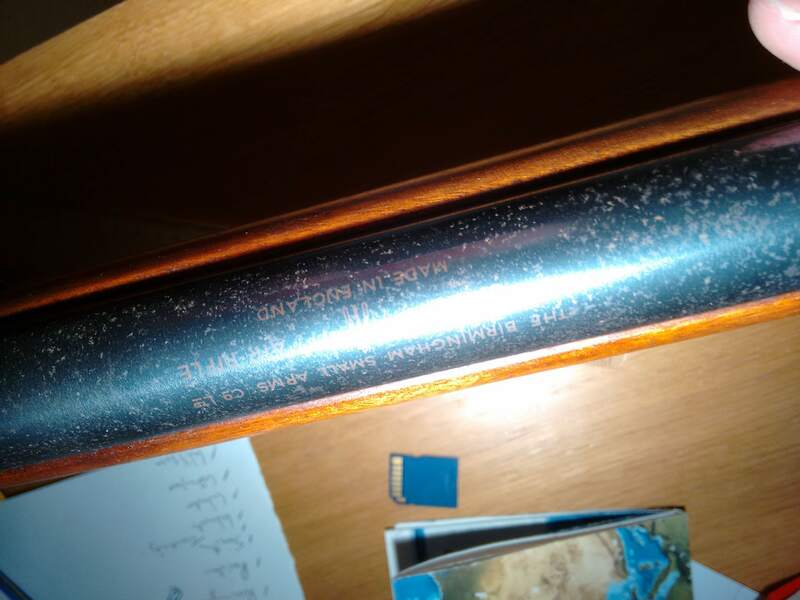 I'm not sure what model this is; other than the word 'Haenel' on it all I can see is an 'X' on the top of the barrel towards the stock and what looks like '28' or '23' or '2B' stamped into the underside of the wooden stock in small letters. 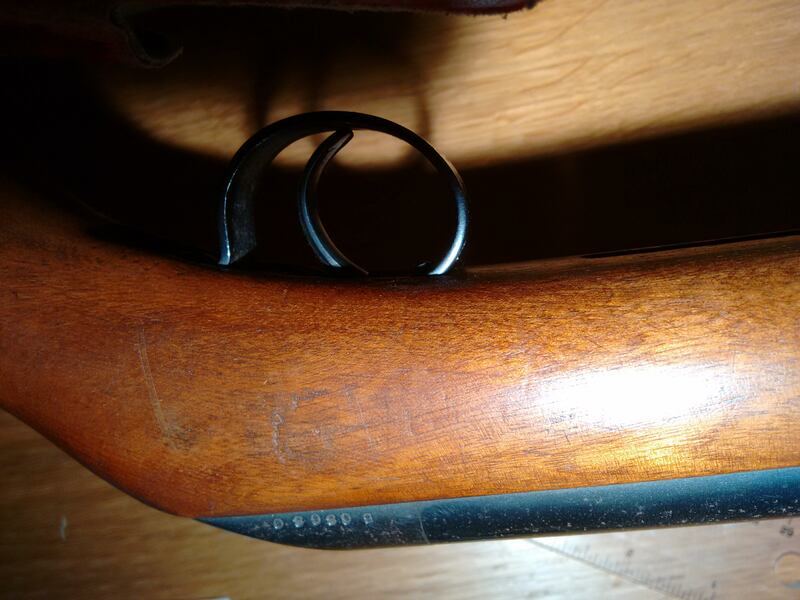 The weapon is not in great condition, the trigger guard is missing, it looks as if someone has sand-papered some of the metal work, the foresight is missing and someone has carved the initials 'MS' into the side of the stock. 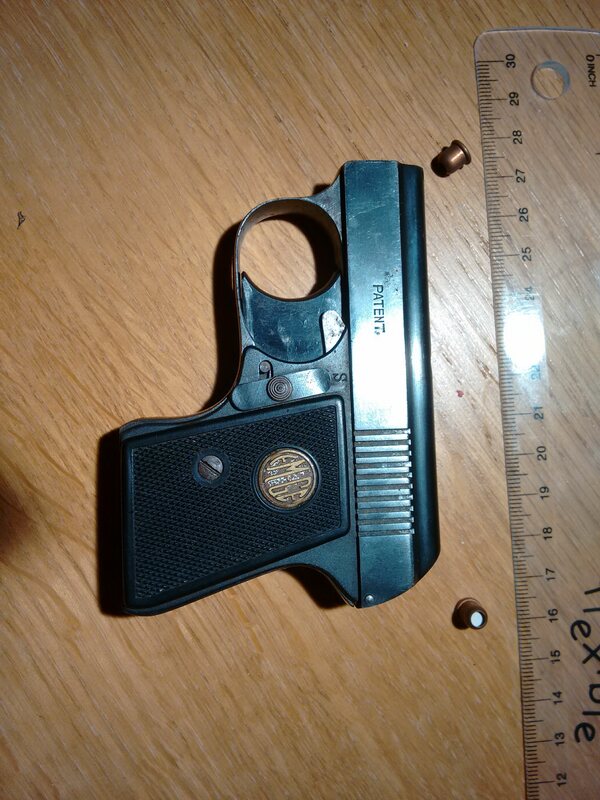 Third gun is a Tell II pistol. It's all there and considering its age it looks to be in reasonable condition. 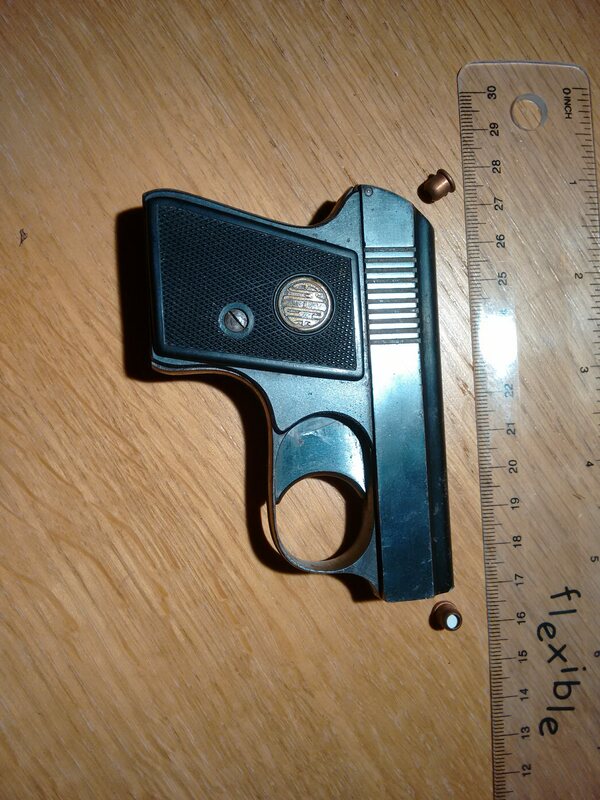 There is some good info about these little pistols here. 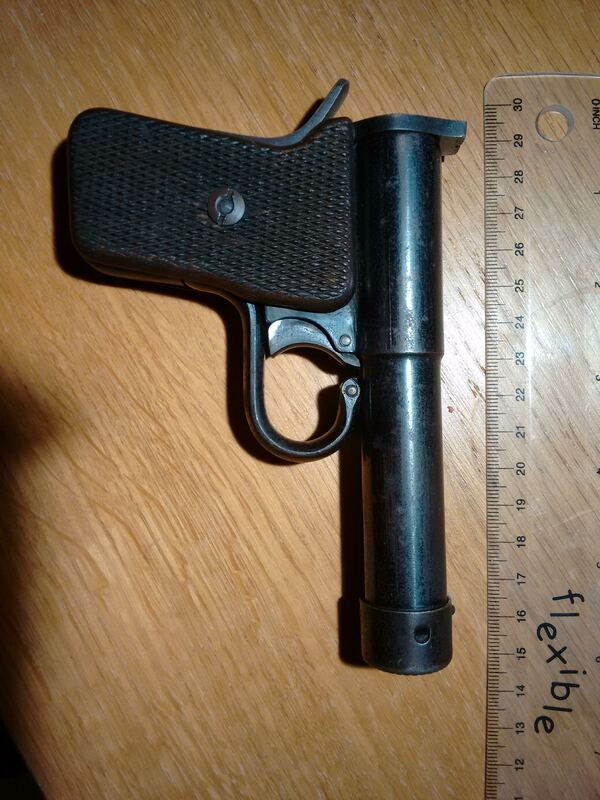 The final item is an EM-GE starting pistol, I think in .22 calibre. There is a six shot magazine with this, which works through the gun when the action is dry-fired. 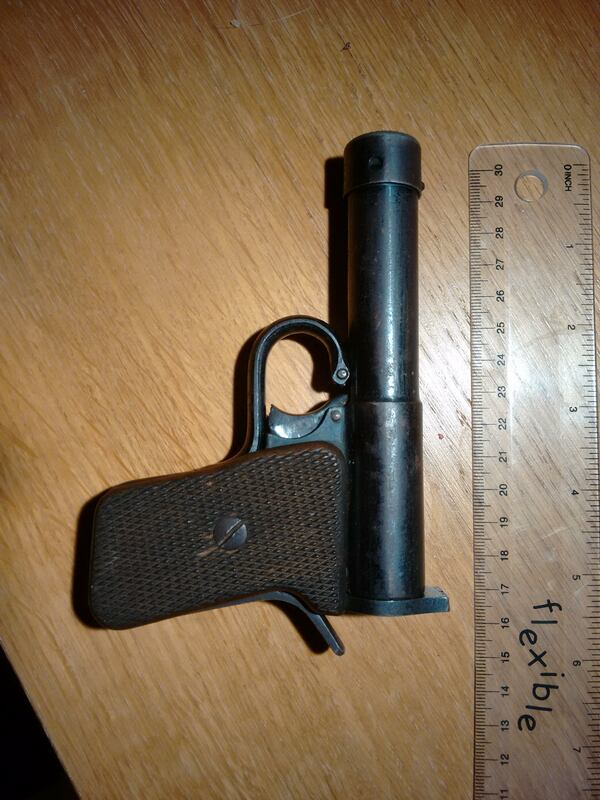 There are a four old cartridges with it but I have not attempted firing this for real (in defference to my neighbours). Looks to be in reasonable condition. I can be contacted by private message through the AirgunBBS board.